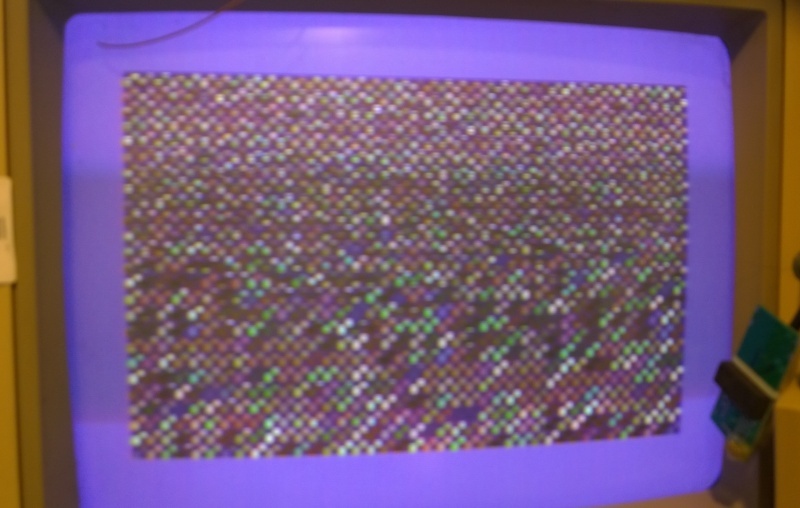 C64 - Fault "Suspect PLA: Blank screen with border and intermittent garbage"
Yes, it's a mk1.. This is more like it! Need to take a peek inside before this thing gets any power. Looks like it's NEVER been opened! 5v Regulator heatsink. 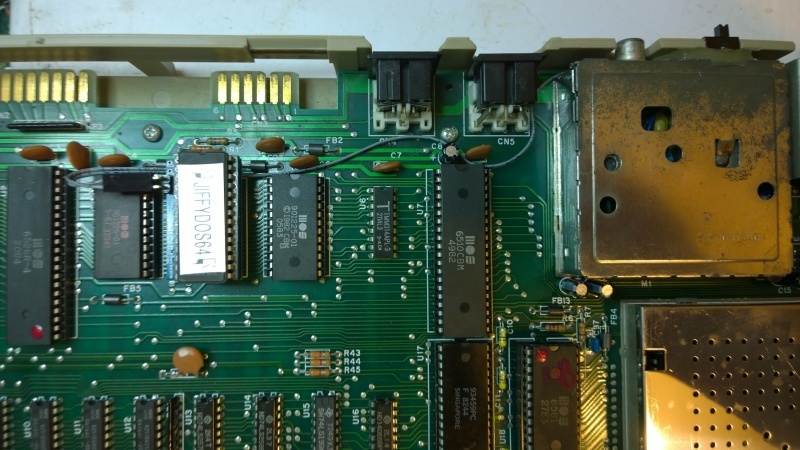 Complex little beast fitted over the joystick ports. Spotless on this side too :D Time for some power..
Oh.. Booo. Ok, funky stuff..
Super early PLA Lives next to SID.. Gets frigging hot but this is one of the few chips that still work. 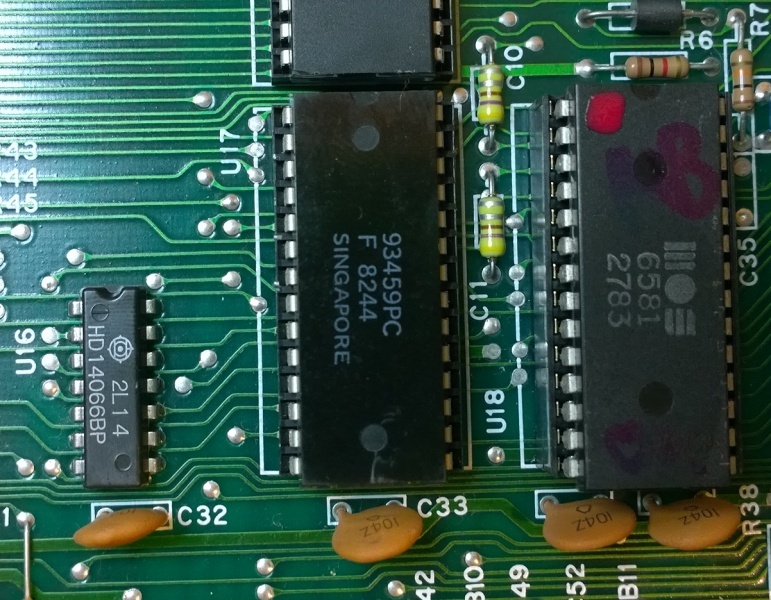 Now, things have progressed at little, after changing the VIC-II chip and the Kernel, my diag cart gave me the unwelcome news that the SID as well as both 6526's where knackered. 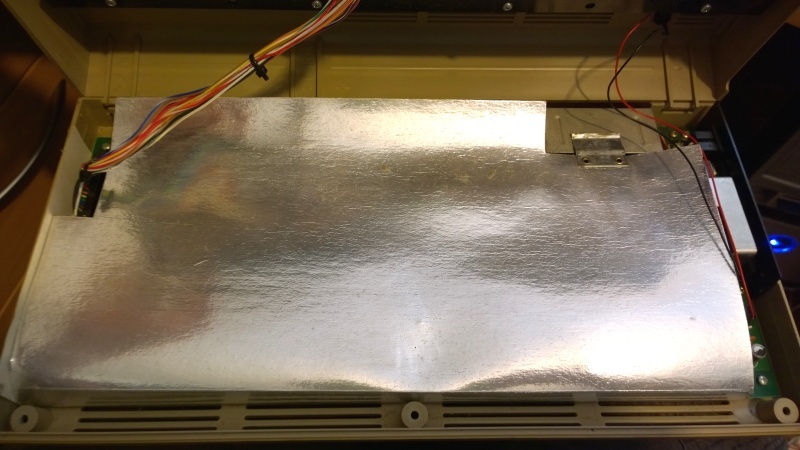 This thing must have been fried by a bad PSU or power surge, or possibly just the old capacitors not doing what they should. 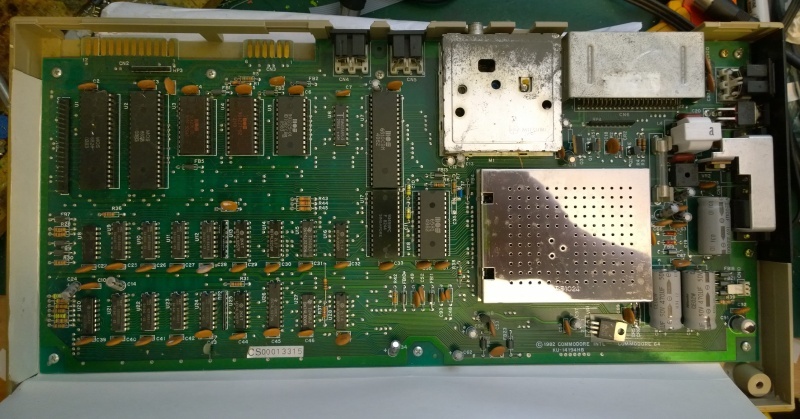 Jiffydos fitted rather than a standard C64 kernel. Looking good.. 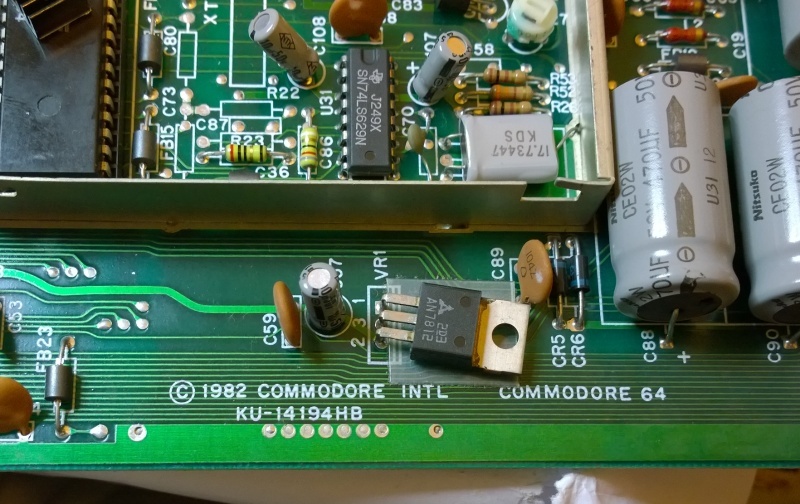 Some heatsinks and a JiffyDos switch is all it needs now..
Neat switch'ness.. Slide switch fitted into the RF select gap. I wasn't about to drill a hole in a mk1.. No a friggin chance! 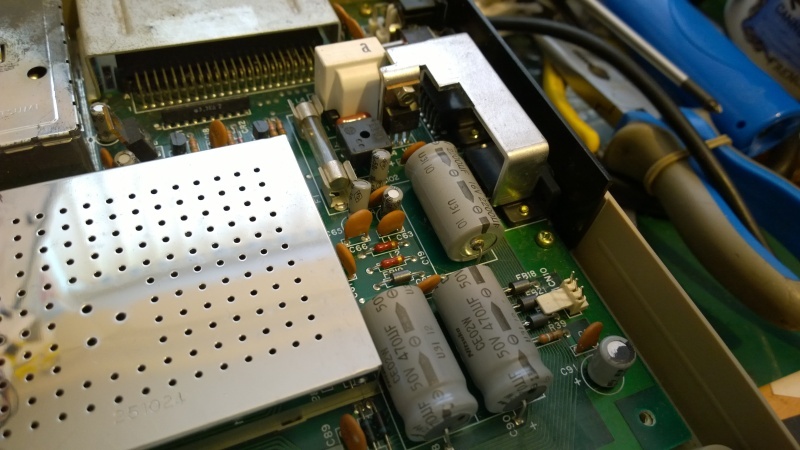 Heatsinks added to hot stuffs.. Time to put her back together. Quick clean and it's time to send her home to her owner.. He had this one from new.. Well worth saving.. 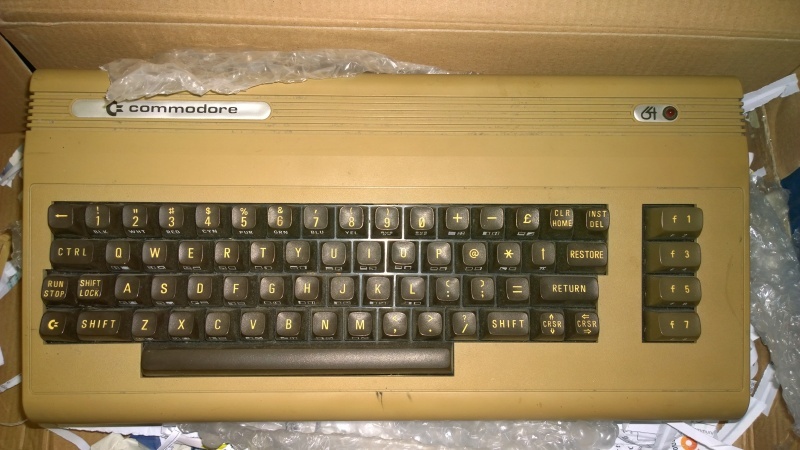 I even sent the chappy the old faulty parts so he could at least in some way keep it orginal. 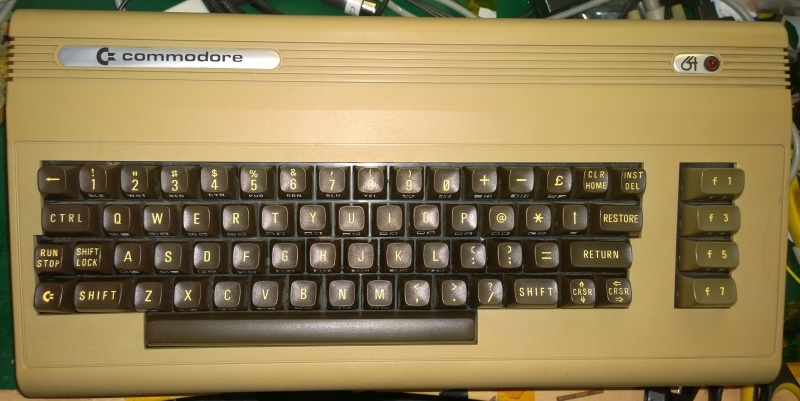 C64 mk1 now added to my WANT list!